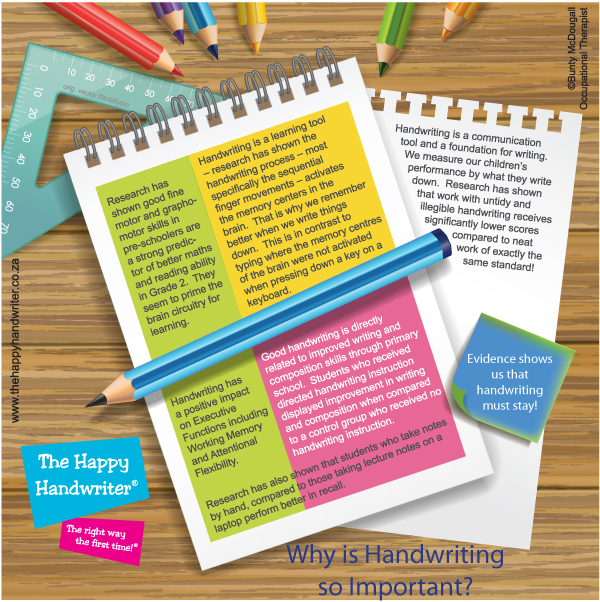 Handwriting – should we still teach it? Is it outdated in the techno age? Perhaps we shouldn’t teach it in schools and save precious time for maths, reading, composition and story writing? 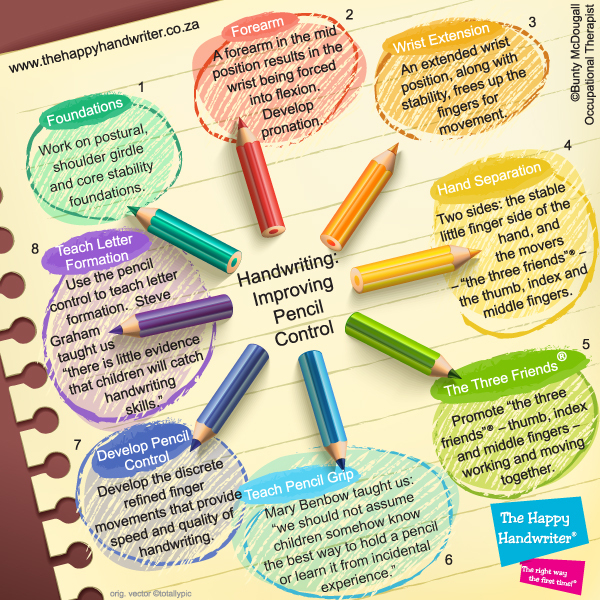 Occupational therapist, Bunty McDougall, author of The Happy Handwriter, explores the latest research on handwriting. This is a good Infographic to have on hand when speaking to parents about their children. It is reasonable for parents to believe that in this techno age that handwriting really doesn’t have a place anymore. Most of them work on computers all day and may very reasonably wonder why we make such a big deal about it. This Infographic will quickly and succinctly show why it is important and move the conversation onto focusing on what to do about it, rather than whether it is relevant. 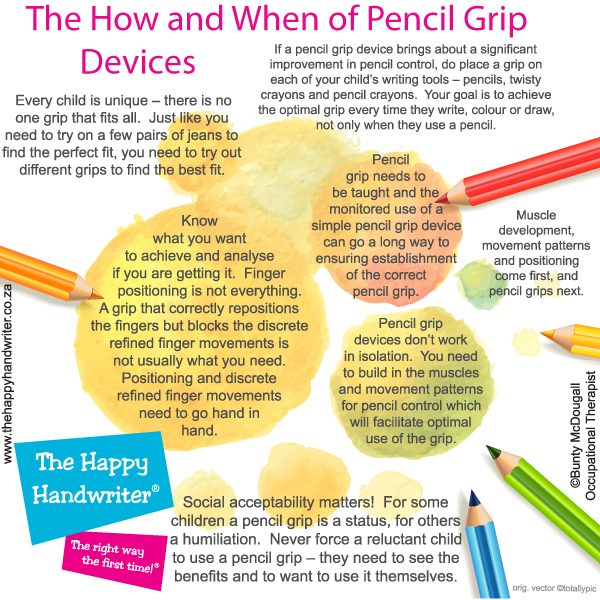 If you would like to read up on the latest research on Handwriting in the Techno age, please do download our free eBook which will explore these areas in greater detail. Laying sound foundations is critical for mastering legibility, speed and automaticity of this life skill. 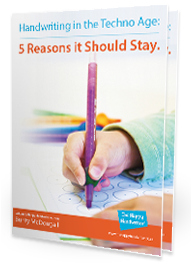 Take a look at our range of letter formation books which ensure that our children have the opportunity to master letter formation “the right way the first time!” To ensure good pencil control which contributes to neatness and legibility, we need to ensure the fine motor foundations have been established. Explore some of our fine motor resources here.